Migration is fast emerging as a key topic and a nuanced understanding considers it as a livelihood diversification strategy for individual aspirations thus viewed as part of wider development. On the other hand and imperatively, its occurrence for others is often due to limitation of choices resulting from adverse political, environmental and economic situations, and ultimately, resulting in harmful effects such as increased pressure in the hosting environment. The International Organization for Migration Country Profile Report 2015 depicts migrations trends in Kenya and illustrates immigration, emigration, irregular migration and human trafficking, refugees and stateless persons and internal displacement as main characteristics. As much as Kenya is home to one of the largest and oldest refugee camps in the region, Kenyans like many other citizens in other countries are on the move. A deeper interrogation of internal displacements which according to the National Council for Population and Development are characterized as rural –urban, rural – rural and urban – rural and urban – urban, warrants important questions on the drivers of migration, bearing in mind that Kenya Population Census 2009 estimated 31.3 per cent and 68.7 per cent of our population settled in Urban and Rural areas respectively and notably the movement from rural areas is on the increase. Current discourses attempt to distinguish between voluntary and involuntary migration with consensus that there is always gradation of choice in the multiple yet complex drivers of migration such as food insecurity, social economic insecurity, conflict and individual aspirations and prospects for income diversification. Though the acknowledgement of these as common drivers of migration, this is against the backdrop of data constraints for instance in Kenya, the number of people displaced as a result of climate change is unknown and also drivers such insecurity due to political instability are considered as sensitive issues. The notion of Migration has gained prominence and the World Food Day will this year highlight substantial issues on migration ahead of the World Migration and Refugees day to be commemorated later on in December. This year, we reflect on the relationship between Food Security, Rural Development and Migration. The 2017 Global Hunger Index Report indicates a slight improvement in Kenya’s ranking, but there is cause to worry since the progress made in 2017 Hunger Index compared to the year 2000 is still low, registering a decrease of between 25.0 per cent to 49.9 per cent, and considered serious. The Food and Agriculture Organization of the United Nations (FAO) asserts that rural migration is caused by economic issues resulting from absence of alternative opportunities to improve livelihood, political causes which are evident from the inequalities between rural and urban areas and conflicts and environmental causes such as a changing climate. The narrative on migration needs to be rebalanced with both short and long term broad perspectives with an interdisciplinary outlook on the options to address challenges and maximize on benefits. Prioritizing policies and interventions that recognize human mobility as a fundamental element of sustainable food systems is essential. Sustainable Diets is key and brings forth focus on nutrition whose absence is manifested in obesity and under nutrition, and change of diets is associated with rural urban migration. What is fundamental is that options are opened up and issues are analyzed not only in terms of security, but integrating development perspectives. The youth comprise a large percentage of rural- urban migration due to lack of employment and effects of a changing climate in agriculture with inability to adapt, is not making the situation any better. 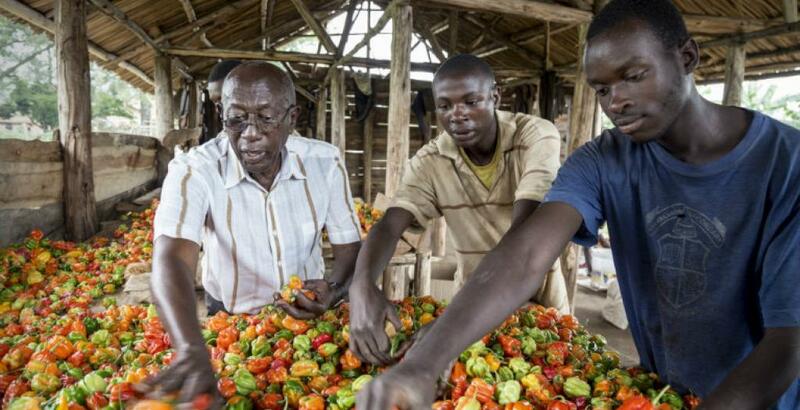 The consideration of holistic approaches in the food systems to ensure that small scale farmers are able to adapt which includes access to inputs such as diverse seeds, the integration of youth in the value chains and working closely with private sector and governments to ensure there is a well established network that develops interdependence between rural and urban centres. This subscribes to the 2030 development agenda for Sustainable Development where member states endeavored to “leave no one behind” and strive to first reach out to those who are furthest behind in efforts to recognize that the dignity of individuals like refugees, displaced persons, migrants and other marginalized groups is fundamental and that the Sustainable Development Goals and targets should be met for all people and from all nations.